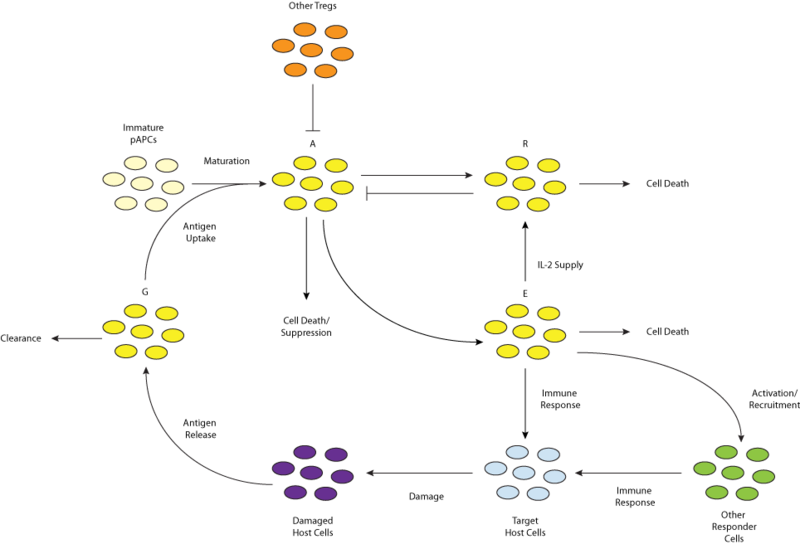 This CellML model represents system 1-4 in the original publication. The model runs in both COR and OpenCell to replicate the published results (figure 2) with R0=0.8. The units have been checked and they are consistent.